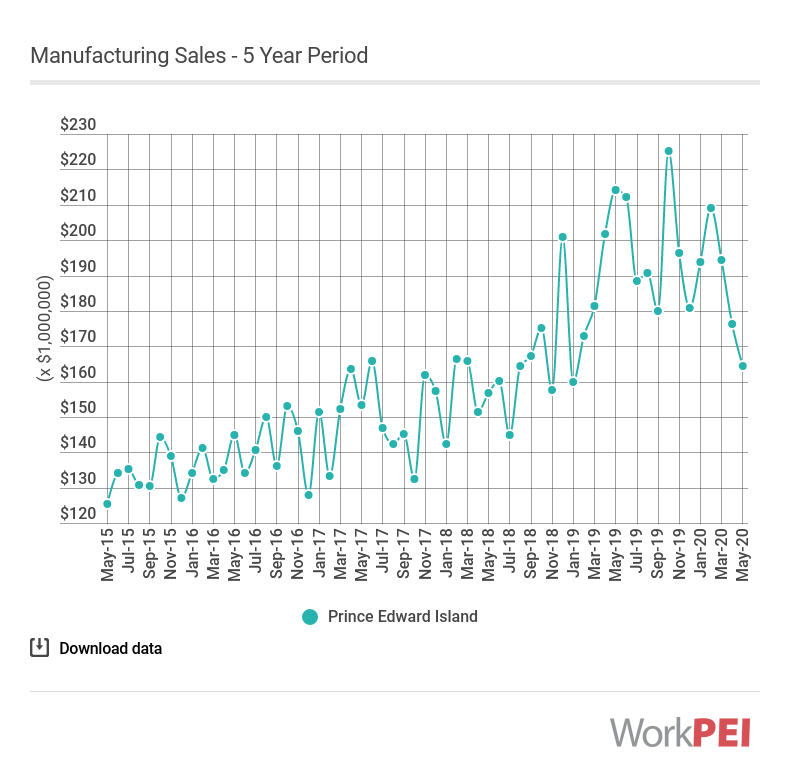 In January 2019, the value of Prince Edward Island’s manufacturing sales increased 46.2% compared with January 2018, to $210.5 million. 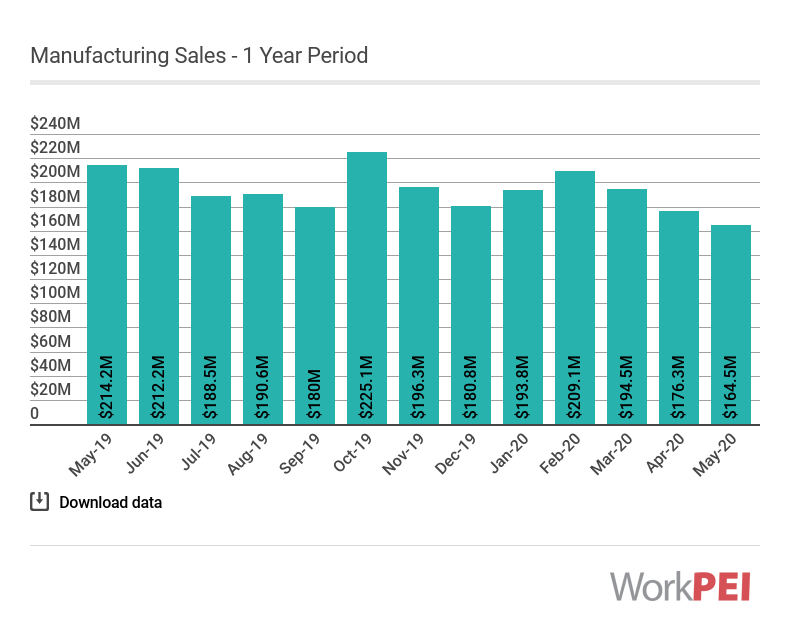 Nationally, manufacturing shipments increased by 4.4% over the same period. 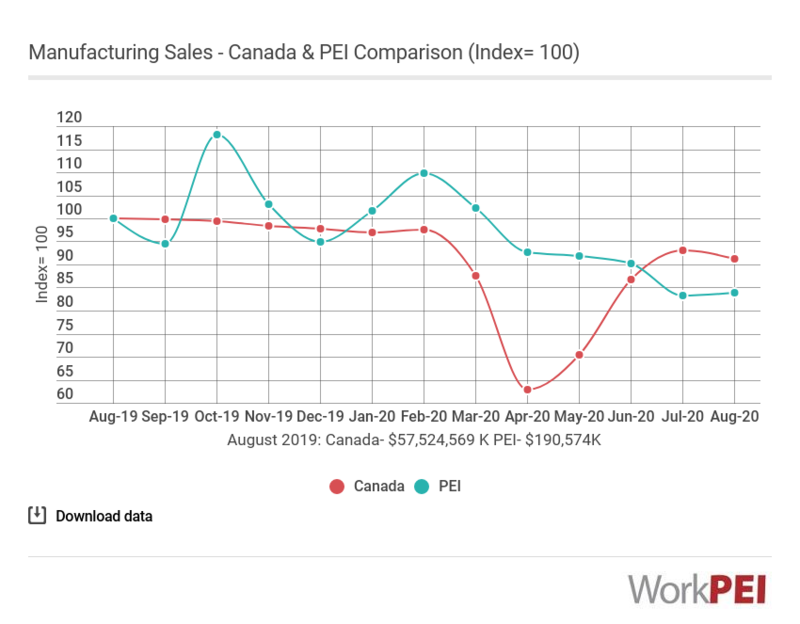 Adapted from Statistics Canada, Tables 16-10-0047-01 and 16-10-0048-01 (Manufacturers’ sales). This does not constitute an endorsement by Statistics Canada of this product.